The Ford Crown Victoria (or simply Crown Vic) is a rear-wheel drivefull-size sedan that was marketed and manufactured by Ford Motor Company; it was produced from the 1992 to the 2012 model years over two generations. Discontinued in the 2011 model year, the latter day Crown Victoria had been in production since 1991 at Ford’s St. Thomas Assembly plant in Talbotville, Ontario, Canada. 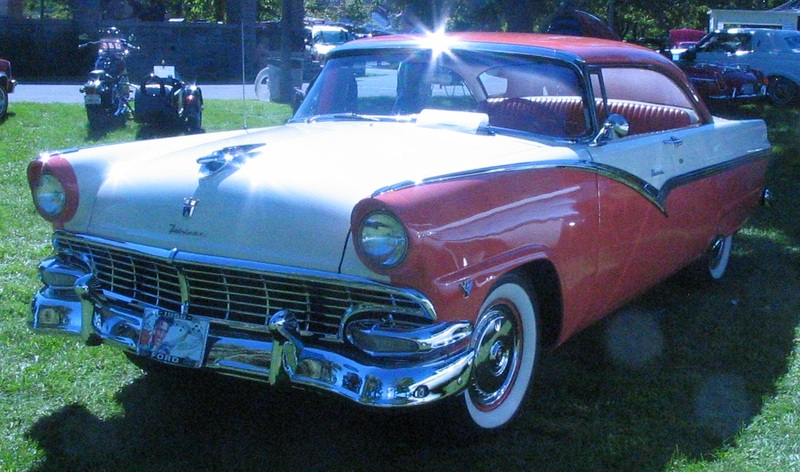 Dropping its previous LTD prefix, Ford instead revived a nameplate once used on a two-door version of the Fairlane sold in the North American market for the 1955 model year. The Crown Victoria shared the Ford Panther platform and major powertrain and suspension components with the Lincoln Town Car and Mercury Grand Marquis. Along with its rebadged Mercury and Lincoln variants, the Crown Victoria was the final full-frame rear-wheel-drive passenger sedan produced in North America. 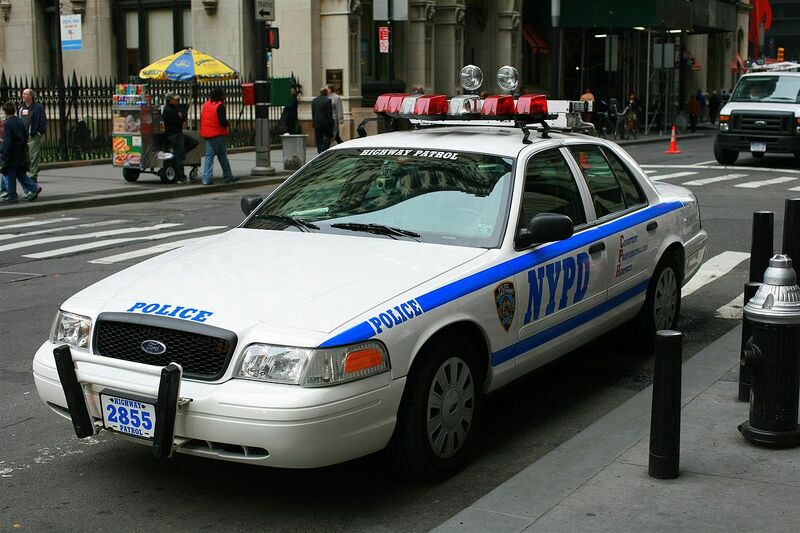 The durability associated with its layout popularized the use of the Crown Victoria with taxicab and fleet owners to be one of the most commonly used police patrol/pursuit vehicles in North America. 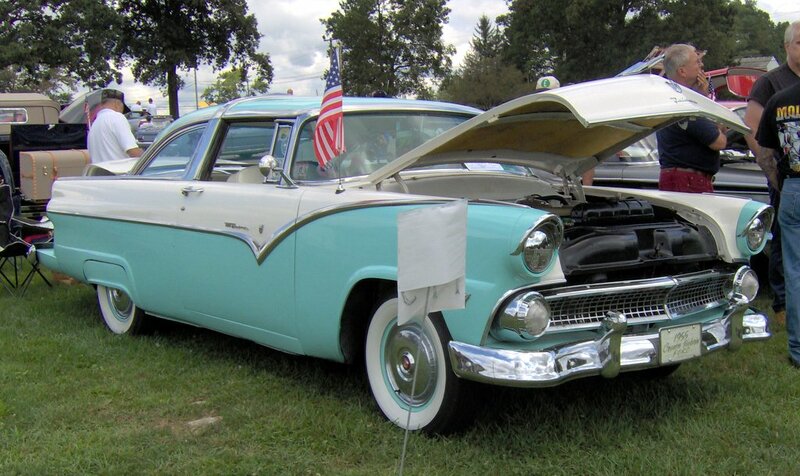 The first “Crown Victoria” appeared in 1955; it was a two-door six-seater coupe, part of the Ford Fairlane range. It differed from the regular Victoria model (named after a type of carriage) by having a stainless steel band that ‘crowned’ the roofline passing right over the car as an extension of the B-pillar line. The model was produced in 1955 and 1956. In 1956, Ford added its Lifeguard safety package. 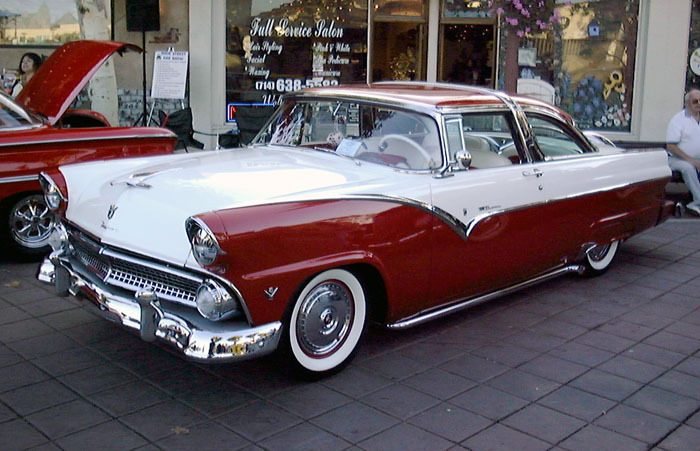 One version, the Ford Fairlane Crown Victoria Skyliner, had the front part of the roof (in front of the steel band) in acrylic glass. Downsized two years after its main rival, the Chevrolet Caprice, the new 1979 LTD was eighteen-inches shorter and 900 pounds lighter than its 1978 predecessor; it was also smaller than both the “intermediate-sized” LTD IIand Thunderbird. The redesign marked the introduction of the Ford Panther platform; the reduced width, weight, and overall size all led to improved road manners and maneuverability, which had been major drawbacks of the previous-generation LTD.
For the 1980 model year, the LTD Crown Victoria was introduced as the top-level trim on the LTD line, replacing the LTD Landau. To differentiate it from the Mercury Marquis, the roof was “crowned” by a stainless-steel band. In addition, the vinyl roof now covered only the rear seat (similar to Lincoln models). 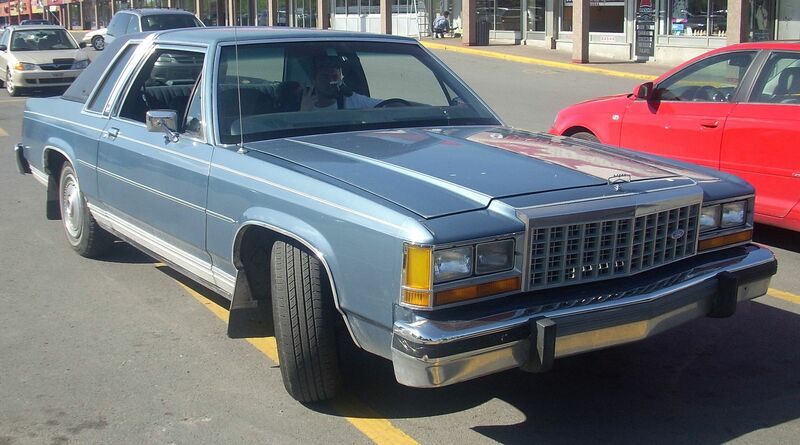 The LTD Crown Victoria would see little change throughout the 1980s. In 1983, it would become a stand-alone model, as the standard LTD nameplate was shifted onto the company’s mid-size model line (to replace the Granada). It would see a minor exterior update in 1988, with an interior redesign in 1990 that added a driver’s airbag. After thirteen years on the market relatively unchanged, the redesigned Crown Victoria (ending its use of the LTD prefix) was released in March 1991 as an early 1992 model. While the Panther chassis was retained, updates to the suspension, braking, and steering allowed for highly improved road manners. On the exterior, in a major departure from its predecessor, the body of the Crown Victoria differed significantly from the mechanically-related Mercury Grand Marquis; the only visibly common body parts were the front doors and windshields. The Crown Victoria borrowed many styling themes from the newly redesigned Taurus, most notably its no-grille front fascia and a slightly rounder version of its roofline (with quarter glass in the rear doors); the redesign reduced the coefficient of drag from 0.42 to 0.34. A significant introduction with this generation was the overhead-cam, fuel-injected 4.6 L Modular V8 as the replacement for both the 5.0L and 5.8L Windsor V8s. Aside from its Mercury Grand Marquis and Lincoln Town Car stablemates, no other American sedan in the Crown Victoria’s price range offered such an engine. Introduced in the 1991 Lincoln Town Car, its stated redesign purpose was to increase fuel mileage and increase power over the 302 cu. in./5.0 liter of the day. The lighter Modular engine, along with an aluminum hood, contributed to the reduced weight of the 1992 model. Anti-lock braking system (ABS) coupled with standard 4-wheel disc brakes and city-speed traction control became available as an option, and saw a 60% uptake in the first year. In addition to the standard driver airbag, a passenger airbag became available late in the 1992 model year. The passenger airbag became standard for the 1994 model year. To focus on satisfying consumer demand, fleet sales of the Crown Victoria were put on hold for 14 months. As a result of changing tastes in family vehicles, the Country Squirestation wagon was discontinued; for customers looking for a large family vehicle, its role was largely superseded by the Aerostar minivan, the Ford Club Wagon full-size van, and to a lesser extent, the Explorer mid-size SUV. Additionally, Ford still offered the Taurus and Mercury Sable station wagons with a third row of seating. By continuing Canadian production, Ford was able to balance the higher fuel consumption of the Crown Victoria with the low figures for Korean subcompacts in the ‘import’ list for the CAFE requirements imposed on car makers by the Federal government. Critics disapproved of the styling of the 1992 model with its Taurus-like lack of a grille. A regular grille was incorporated for the 1993 model year. In the rear, a reflector strip between the taillights was added. A performance-oriented “Touring Sedan” trim was added for 1992. It featured dual exhausts for an increased engine output of 210 hp (157 kW; 213 PS), wider tires, rear air suspension, and various suspension components shared with the police package model. The Touring Sedan could be optioned with components such as speed sensitive steering and larger diameter sway bars, while it lacked an electronic speed limiter. The Touring Sedan also came with a standard two-tone exterior paint scheme, unique leather interior, special alloy wheels, and every luxury feature available for that year. The “Handling and Performance” package were also available separately for a reduced price without the “Touring Sedan”, as was a tow package. The Touring Sedan was dropped after 1992, though the “Handling and Performance” package continued. For the 1996 model year, in addition to the available anti-lock brake system (ABS), a traction control system was optional as well. A single-key entry system became standard, along with a hidden audio antenna, rear window defroster and tinted glass. A Handling and Performance Package with touring tires was optional and radial-spoke wheel covers were available on the base model. Automatic climate control and a JBL audio system became available on the LX. For 1997, only slight adjustments were made in anticipation of a 1998 restyle. They included increased responsiveness and improved steering control. For the 1998 model year, the second (and final) generation of the Crown Victoria was introduced. 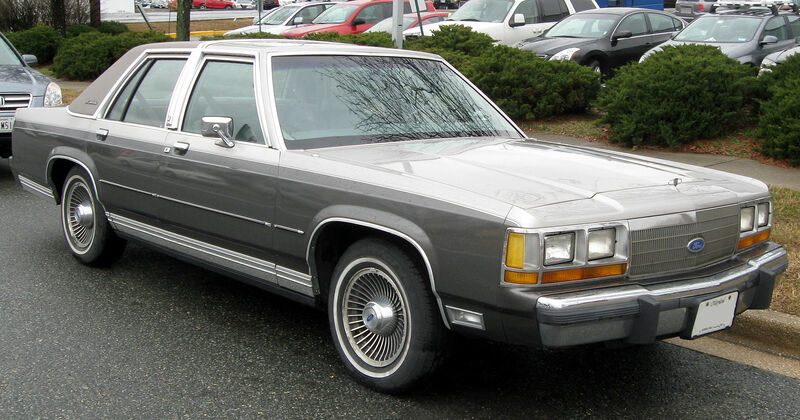 Following the lack of acceptance of the radical styling of the 1991-1996 Chevrolet Caprice, the Crown Victoria moved further away from its 1992 redesign. 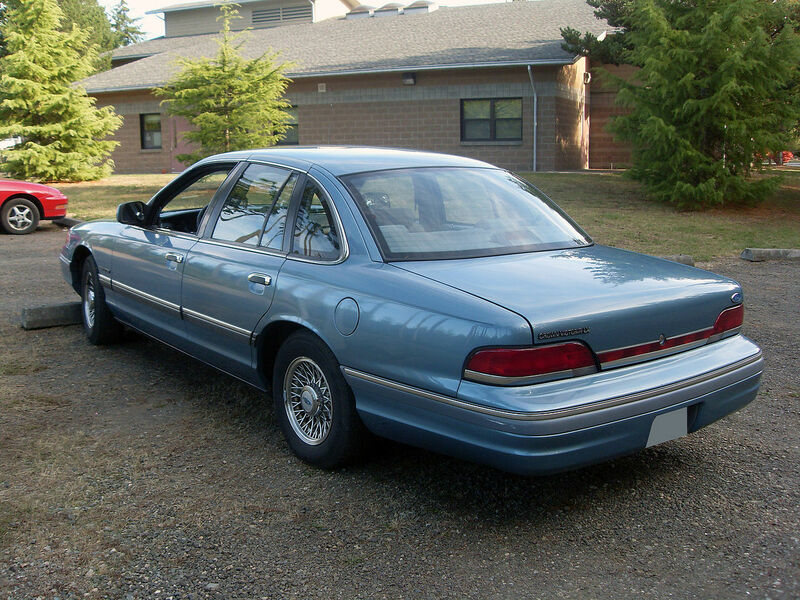 Instead of borrowing design cues from the Taurus, the Crown Victoria shared many of its body parts, including its entire roofline, with the more popular Mercury Grand Marquis. To differentiate itself from Mercury, the Crown Victoria was given larger headlights, different bumpers, and a rectangular grille. The interior design saw little change aside from a new steering wheel. Mechanically, a revised four-link suspension with a Watt’s linkage was added to the rear axle; while not a change to independent rear suspension, general road handling manners improved at the expense of towing capacity. Larger brakes necessitated the standardization of 16-inch wheels. Police cars (P71/P72) switched from full wheel covers and dog-dish covers held onto the wheel by four nubs (on HD Steel Wheels) to a design with center caps that attached onto the lug nuts; these were sourced from the Explorer SUV. Under the hood, coil-on-plug ignition replaced the traditional spark plug wires; a first for the 4.6 L Modular V8, this was a design borrowed from the 3.4 L V8 used in the 1996-1999 Ford Taurus SHO. In 2005, the Crown Victoria was replaced as Ford’s flagship sedan with the introduction of the Five Hundred. However, the 5,424 Crown Victorias sold in January 2007 far exceeded the 3,526 of the newer Five Hundred (rebranded as the Taurus in 2008) which was a more technically advanced full-size car with similar passenger space and better fuel economy. 1998–2002 Ford Crown Victoria LX. 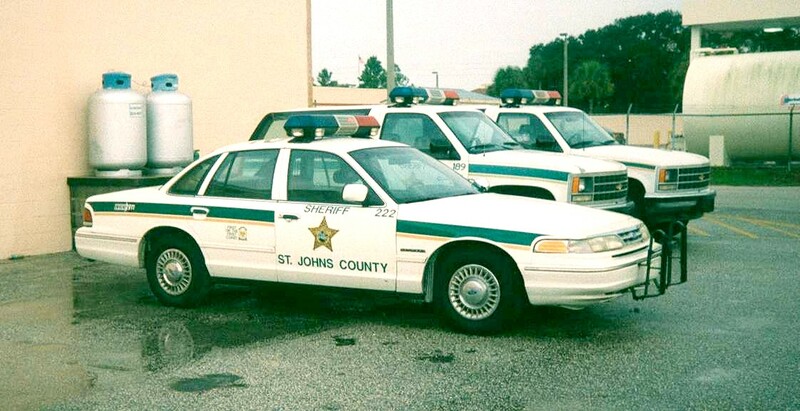 Not much changed for the 1999 model year, with the Crown Victoria receiving three more exterior colors and the previously optional ABS brakes became standard. 2000 brought an emergency trunk release system, child seat anchor brackets in the back seat, the “Belt Minder” chime to the Crown Victoria. This was followed in 2001 by adjustable pedals and increased engine output. For the 2002 model year, heated exterior side mirrors became available, along with standard floor mats, improved cloth upholstery, and a new trunk storage system option on the LX. 2004 Ford Crown Victoria LX, rear view. 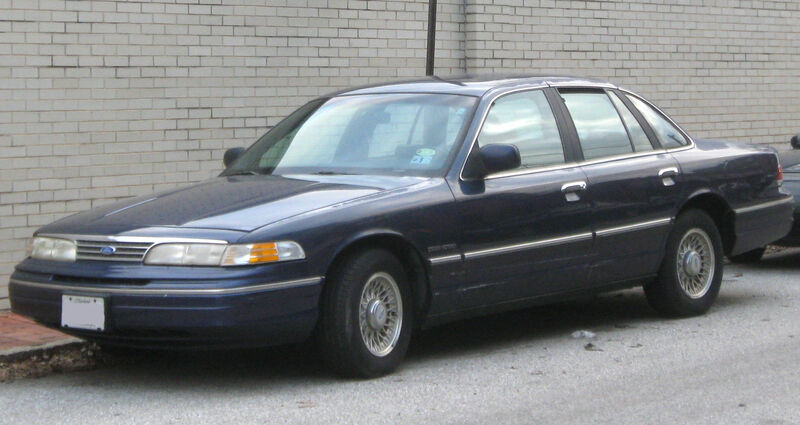 From 1998 to 2012, the Crown Victoria’s external bodywork remained the same. For the 2003 model year, the chassis was again redesigned with hydroformed steel. The front and rear suspension were also completely overhauled. New inverted monotube shocks were now used (replacing the old twin-tube shocks that had been used since the 1960s). In the front, new aluminum control arms, and rack and pinion steering (replacing the recirculating ball units) have been implemented. The rear suspension was redesigned for durability in police-duty applications and the rear shocks were moved outboard of the frame rails for better handling and ease of maintenance. As a result, the road-handling manners of the Panther platform cars had improved significantly. The engine output increased due to the addition of a knock sensor for more aggressive timing. 2003 models also received optional seat-mounted combination head and torso side airbags. For 2004, Ford altered the transmission, revised the torque converter for better acceleration, and updated the layout of the optional overhead console. Laminated door glass also became available to deter break-ins and thefts, reduce road and wind noise, improve protection from flying glass in a collision and filter out ultraviolet rays, reducing heat buildup and fading of the interior. 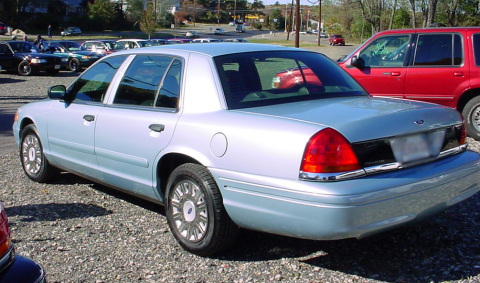 The Crown Victoria retained the same exterior styling, but 2005 models received a rear whip radio antenna rather than an integrated rear defroster antenna. 2005 models also received a new steering wheel, optional power moonroof and 6-CD changer. 2005 also saw the addition of electronic throttle control. It was also the last model Ford offered with an analogue odometer. The rear whip antenna was removed from the 2006 models in favor of the integrated rear defroster antenna. 2006 models also received a redesigned instrument cluster featuring a more modern speedometer (though again 120 mph (190 km/h) for the civilian models); for the first time, the Crown Victoria was available with a tachometer. Other additions included a standard trip computer on the LX and a perimeter alarm as an option. For the 2007 model year, the LX Sport trim was dropped leaving the Standard and LX. Most of the LX Sport’s components were then made available with the new optional Premium Sport-Handling and Performance Package. Standard AM/FM audio system with CD player and the remote keyless entry system “SmartLock” became available on all models as did daytime running lights. Beginning with 2007 models (built after July 2006), design changes were made to the optional side airbags and door trim to improve occupant protection in side impact crashes. Ford Crown Victorias as taxis in New York City. 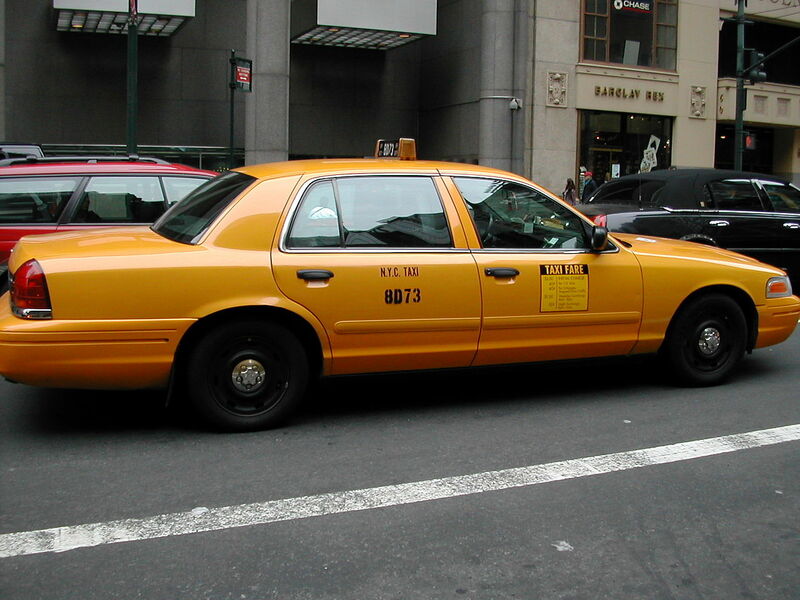 A traditional New York City taxi, the long-wheelbase Crown Victoria. In 2006, retail sales of the Crown Victoria dwindled to just 3,000, compared to 38,280 of its stablemate Mercury Grand Marquis in the first nine months of 2007. Starting with the 2008 model year, the Crown Victoria became available solely through Ford Fleet and the retail version was succeeded with its submate the Mercury Grand Marquis which was still sold for retail sales except the Middle East where this and the Mercury Grand Marquis are all retail cars; by 2007, approximately 95% of total Crown Victoria sale had been to fleet customers. 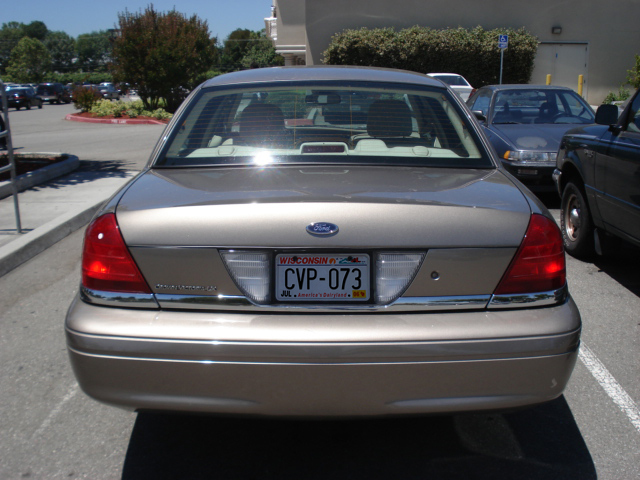 As of June 21, 2007, the Crown Victoria was removed from the Ford retail website, most likely to promote the 2008 Ford Taurus. This has been the case in Canada since the 2000 model year (see below). Also, with the descent into fleet-only sales across North America, the LX Premium Sport and Handling Package and the Handling and Performance Package (the only Crown Victorias produced for the North American market with dual exhaust, save for the Police Interceptor) were officially discontinued by Ford. Ford had reportedly announced that it would freshen both the Crown Victoria and the Mercury Grand Marquis for the 2009 model year. Ford had told the Canadian Auto Workers that it would invest $200 million in the vehicles, which are assembled at the St. Thomas Assembly Plant in St. Thomas, Ontario. However, Ford released the 2009 Crown Victoria with few if any changes from the 2008 model, with no announced plans for changes in the future. For 2009, Ford narrowed the available Crown Victorias in North America by one more model. The Standard (P73) model designation was discontinued in favor of the LX. To make the LX more appealing to future buyers (those who buy the cars after their service in rental fleets) it now uses the 5-spoke alloy wheels once used specifically for the LX Premium Sport and Handling package. These wheels are used in favor of the 9-spoke design the LX has used since 2003, purportedly due to the Lincoln Town Car using 17″ wheels standard, as well as the Police Interceptor and the Taxi/Commercial (P72) model. The Grand Marquis underwent a similar change to 17″ Lincoln Town Car wheels. Also, the LX Sport wheels were used on all Crown Victorias sent to the Middle East (save for the LX). 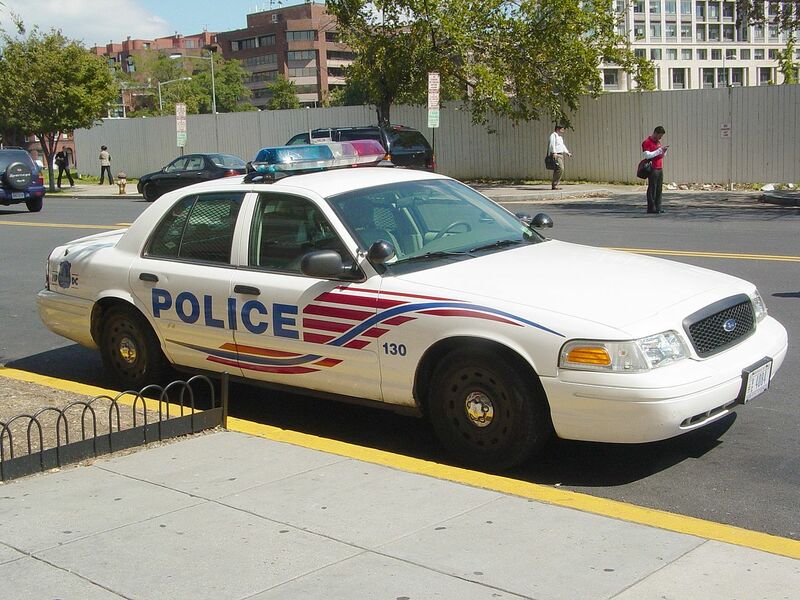 For the Police Interceptor, there are two pieces of standard equipment added to its list. The power pedals are now standard on all models, presumably to cut manufacturing costs (Crown Victoria LX, Grand Marquis LS and Lincoln Town Car all had them as standard equipment previously) and side impact airbags are also standard. There are also new, federally mandated recessed window switches. 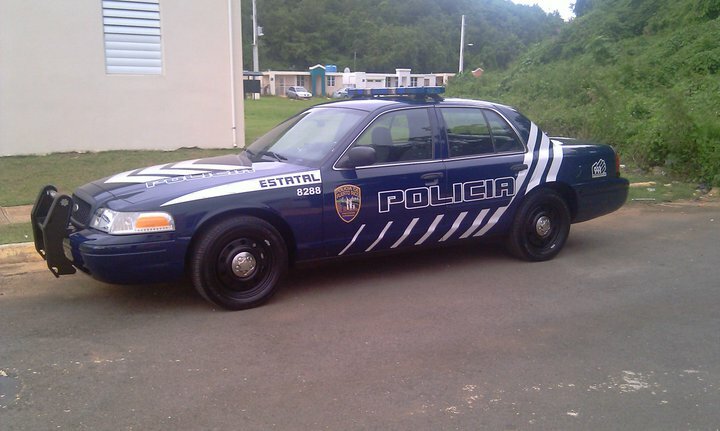 2011 would mark the final year of the Crown Victoria in the United States, as its lack of stability control made it illegal for sale for the 2012 model year; all 2012 models would be produced for Middle East export. 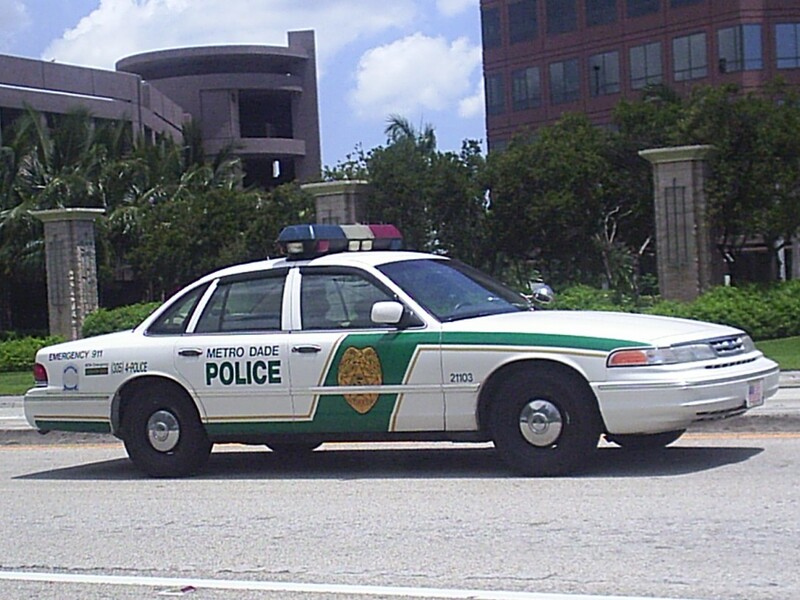 As early as 1999, the availability of the Crown Victoria became reduced. As Ford discontinued the Mercury brand in Canada, the Crown Victoria was relegated to fleet-only sales there as Ford dealerships adopted the Mercury Grand Marquis wearing Ford badging. After the 2007 model year, this version of the Grand Marquis was replaced by the new full-size Ford Taurus. From 2000 to 2011, the sole market outside of the United States for the Crown Victoria was the Middle East, largely Saudi Arabia and Kuwait. In the early 2000s, Ford developed the Volvo-derived Five Hundred to replace the Crown Victoria in the retail marketplace. 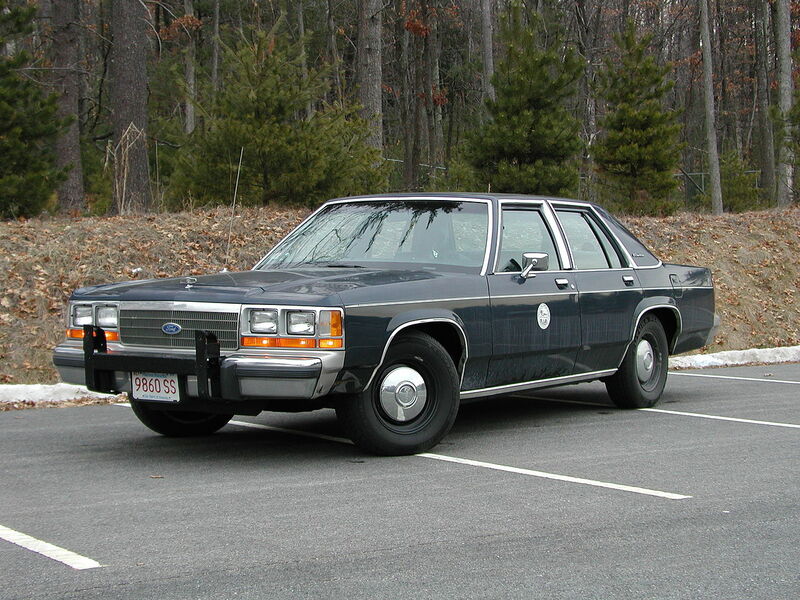 As Ford dominated the market for police cars and taxi vehicles at the time, Ford chose to continue the Crown Victoria for the purposes of securing fleet sales; retail customers still interested in full-size rear-wheel drive cars would be marketed towards Mercury and the Grand Marquis. Sales of the Crown Victoria to retail customers plummeted as a result; only 3,000 were sold in 2006 (outselling only the Ford GT, and only by 1000 cars). 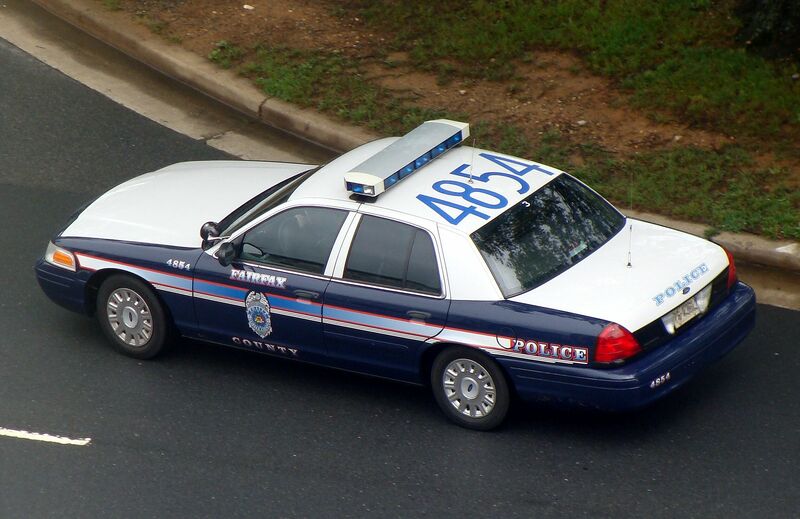 When the Five Hundred was updated and rechristened as the 2008 Ford Taurus, the decision was made to end retail sales of the Crown Victoria in the United States entirely. A year later, as part of The Way Forward, Ford announced the closure of the St. Thomas, Canada facility where the Crown Victoria and Grand Marquis were assembled; production of the Lincoln Town Car had been relocated there as part of another factory closure. 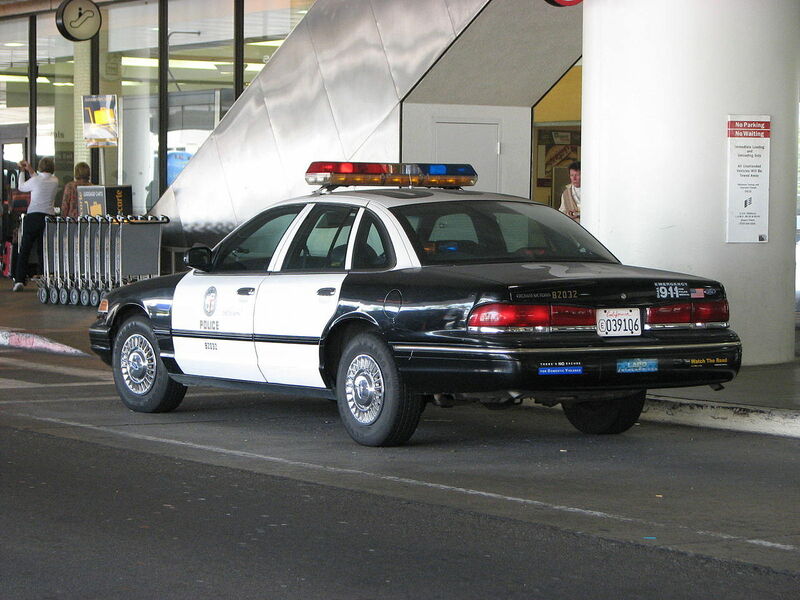 Production of all three cars would cease by the end of 2011; only the Ford Crown Victoria Police Interceptor would have a direct replacement (a modified version of the Ford Taurus). With the end of production of the full-size rear wheel drive body-on-frame platform for the Crown Victoria and Lincoln Town Car, Ford is promoting the Ford Taurus and Lincoln MKS flagships for consumers. Ford is also promoting the Transit Connect Taxicab to replace the Crown Victoria for urban taxi cab usage. 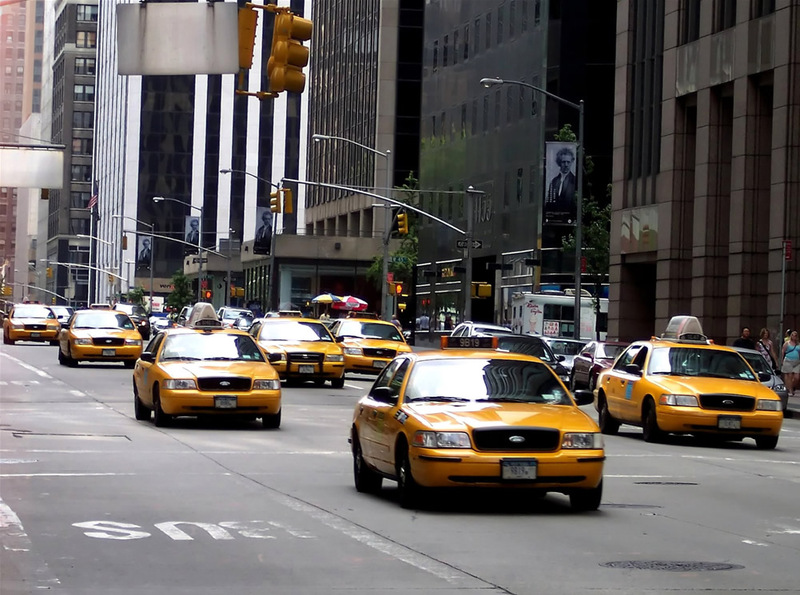 Some taxi operators have expressed concerns about replacing the roomy Crown Victoria with smaller, more compact vehicles, due to a “bumpier, more cramped ride” and “knee-bumping back seats and flimsier frames”. 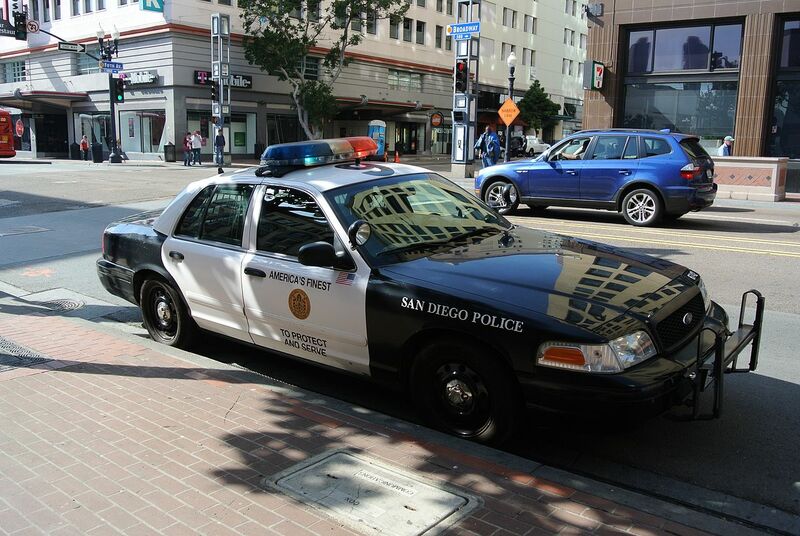 For police pursuit use, Ford is promoting the Ford Taurus Police Interceptor and the Ford Explorer interceptor to replace the Ford Crown Victoria Police Interceptor. All Crown Victorias built after August 31, 2011 are 2012 model year cars. For the 2012 model year the US government required that electronic stability control be fitted on all new cars. Ford did not add this feature to the Crown Victoria, so the 2012 model was not sold in the United States and Canada. 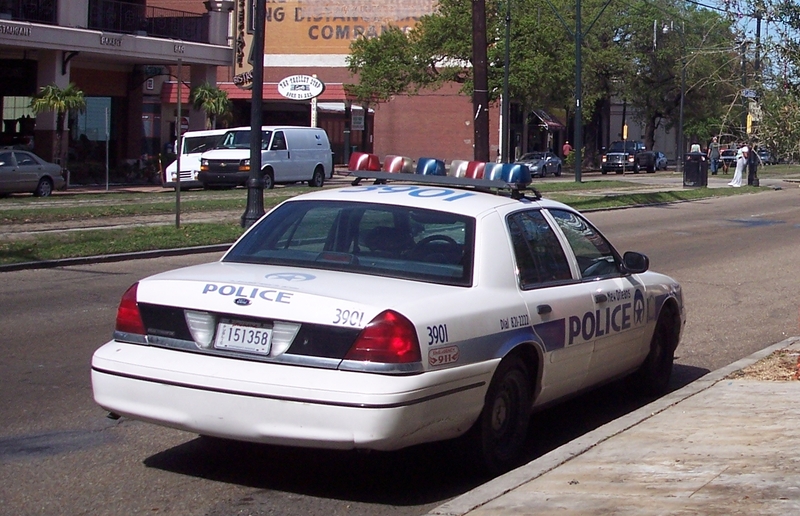 On September 15, 2011, the final Crown Victoria rolled off the assembly line. It was destined for export to Saudi Arabia. Ford’s discontinuation of the Panther platform cars led to the closure of the St. Thomas plant in Canada and the loss of over a thousand jobs, as well as job losses at suppliers in the U.S. The passing of the Crown Victoria and its derivatives also marked the final demise of the ‘traditional’ full-size American sedan – Ford’s offering had been the last bastion of the format with GM and Chrysler having already discontinued their equivalent models. 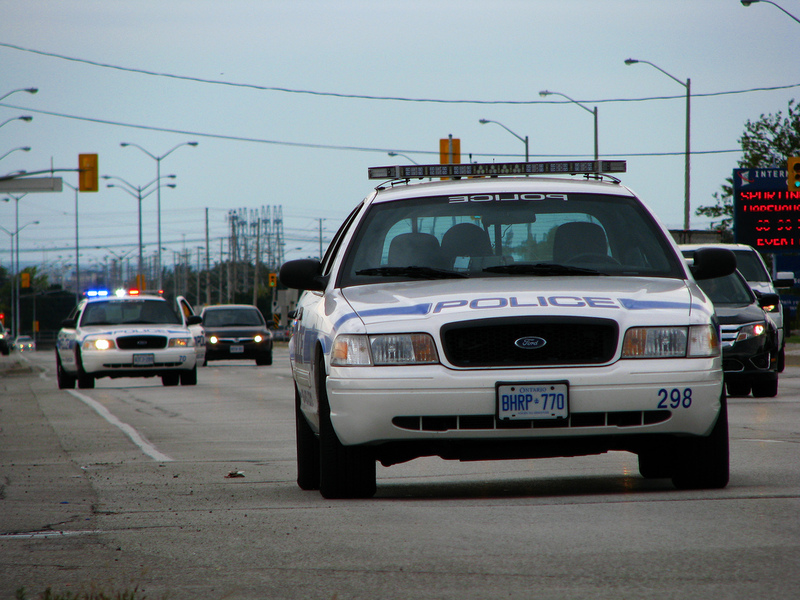 In Canada, the Crown Victoria was not available for civilian retail purchase after the 1999 model year. From that time until its discontinuation, the Crown Victoria was only available in Canada as a Police Interceptor for law enforcement, or as a taxi or Special Service Vehicle for commercial fleets. The civilian Crown Victoria was only available when ordered for a fleet directly from Ford Motor Company of Canada, Limited and was not available through Ford dealerships. Civilians can, however, purchase used 2000 and later civilian Crown Victorias that are available at dealerships. Retired Police Interceptors or Special Service Vehicles are available from various auctions. 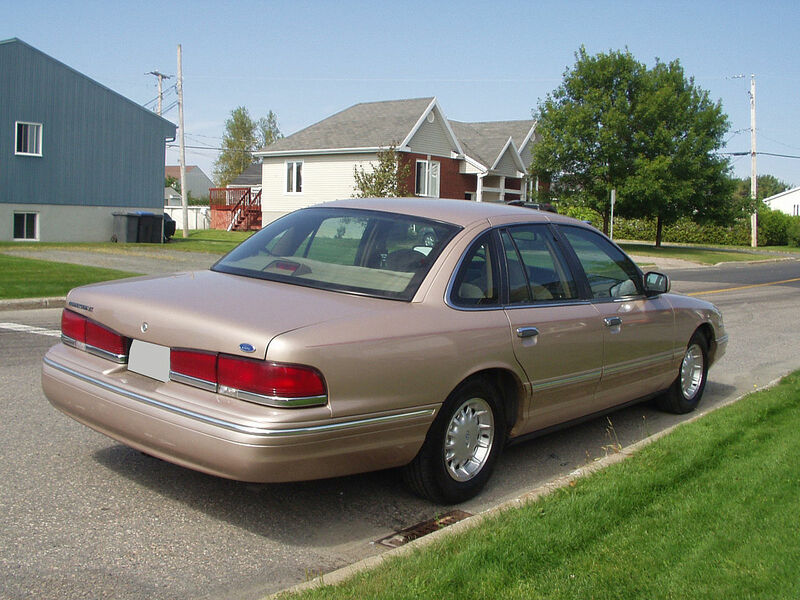 The Mercury Grand Marquis and Lincoln Town Car, which also use the Ford Panther platform, however, were still available at Ford & Lincoln dealerships in Canada through the 2007 model year. Starting with the 2008 models, Ford stopped selling the Grand Marquis in the Canadian market, but continued to sell the Town Car. Large American sedans have always been part of the landscape in the Middle East. After the discontinuation of the American-produced Chevrolet Caprice in 1996, the Crown Victoria and its twin, the Mercury Grand Marquis became the car of choice for buyers of large American cars in the region. Consequently, the loss of General Motors market share in the region led to the 1999 reintroduction of the Caprice as a badge-engineered Australian Holden Statesman/Caprice (in left hand drive form). Despite their age, and more modern competition from General Motors, sales of the Ford Panther platform remained strong, especially in Kuwait and Saudi Arabia. As stability control was not required for export for this region, the Middle East was the sole region the 2012 Crown Victoria was legal for sale; the final models were all produced for export to this region. 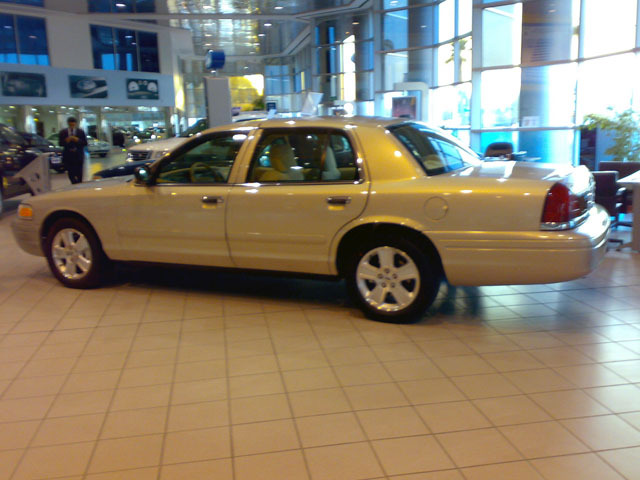 2003 model Crown Victoria LX in Kuwait. Vehicle equipped with Export Handling Package and features Saudi Arabian specifications. 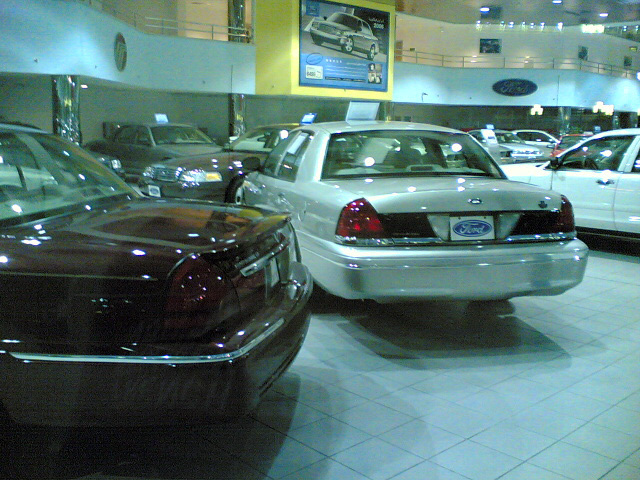 As far as the market in Kuwait is concerned, where Mercury Grand Marquis sales exceeded that of the Crown Victoria, only the Standard and Standard Long-Wheelbase models were sold. Other models have not been imported as of the year 2000; 1999 was the last year for the LX trim level. This was part of the authorized dealer/importer’s decision to focus on the Grand Marquis due to the smaller market size. The warranty for the Crown Victoria was 5 years/200,000 kilometers (125,000 miles) – whichever came first. A driver’s side spotlight assembly was optional on Standard and Standard Long-Wheelbase models, while a monochromatic paint job is optional on Sport, LX and LX Sport models. Choice of colors on monochromatic paint jobs include Dark Toreador Red, Silver Birch, Tungsten and Black. A Mercury Marauder rear spoiler was standard equipment on Sport and LX Sport models, optional on the LX and Standard trim. LX and LX Sport models also come with power 8-way driver and front passenger seats. Worthy of note, the American Handling and Performance Package (HPP) was changed to “Export Handling Package” for the Middle East. The only differences between the two is that GCC Spec models have a 2.73 rear axle ratio (as opposed to 3.27) and as a true dual exhaust system was standard equipment, it was not part of the package. Vehicles equipped with this package also come with a monochromatic paint job. The Export Handling Packages (EHP) comes with a tuned rear air suspension, revised coil springs, handling shock absorbers and an upsized rear stabilizer bar. EHP is standard on Sport and LX Sport models and is only an option on the LX trim. It is not available on Standard and Standard Long-Wheelbase models. A DVD entertainment system (marketed as “Export DVD Entertainment System”) was added for the 2007 model year; it was optional on Sport, LX and LX Sport models. Mercury Marauder spoiler, also found on models equipped with the Export Handling Package. Chrome trim under the license plate on the front bumper. Chrome trim underneath the Ford logo on the trunk. Special Edition logos on the front fenders, trunk and dashboard. A Premium head unit with single CD and cassette. Everything else on this vehicle is identical to the Standard model. While this vehicle was not listed in any sales literature, in Saudi Arabia it was available with a choice of different colors. In Kuwait, this model was only available in black (due to market size); the price was approximately KWD 6,000 (approximately $22,000 USD). 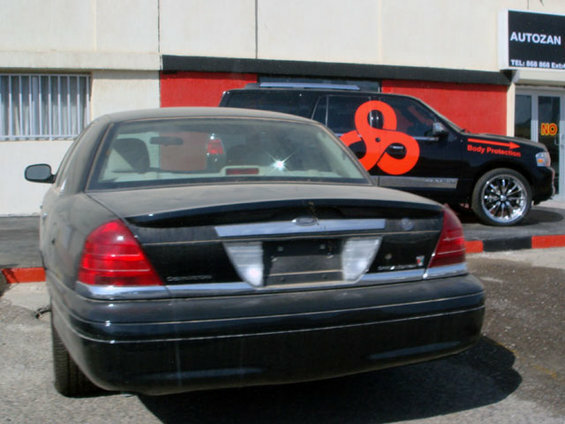 A 2008 Crown Victoria P70 (Standard Long Wheelbase) at a dealership in Kuwait. 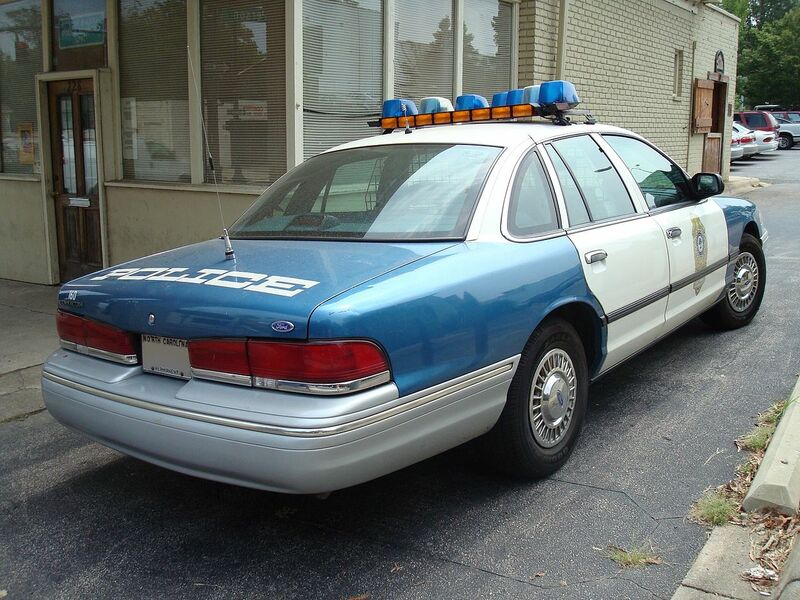 Starting with the 1998 model year, the police version of the Crown Victoria, previously named Crown Victoria P71, was changed to Police Interceptor and new rear badging was assigned instead of the civilian Crown Victoria badge. 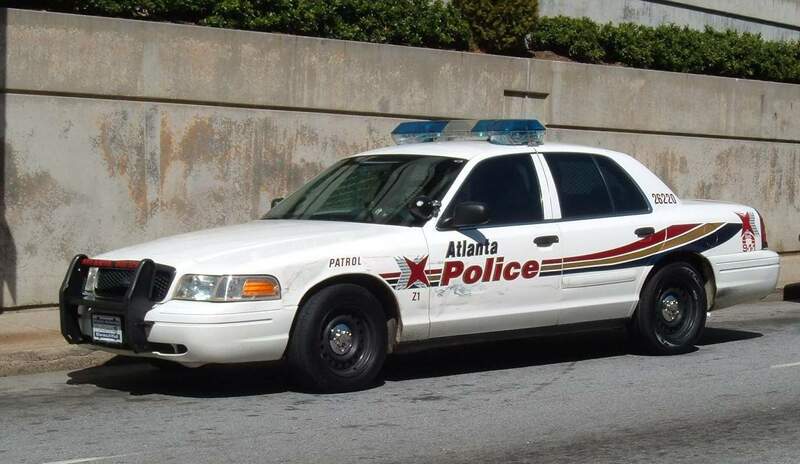 Though, to date, the Crown Victoria badge is still affixed to Police Interceptors equipped with the Street Appearance package for vehicles that require civilian styling (undercover cars, office/city motor pool, fire departments, etc.). Police Interceptor models come with a black front grille and a black rear fascia on the trunk lid, with black trim under the tail lights on 2000+ models. 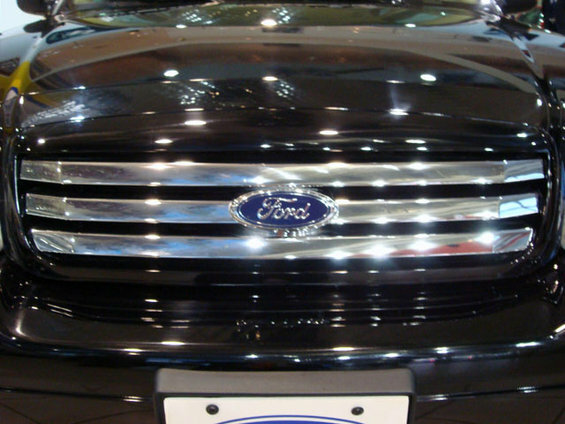 1999 through 2000 models have a blacked out version of the standard chrome bar grille, while 2001+ models have a black honeycomb type grille. 1999 models continued with the chrome trim under the tail lights. They also have several “heavier-duty” mechanical upgrades and newer models have additional safety features to deal with fuel tank safety concerns. Ford has begun development of the next-generation Police Interceptor, based on the 2010 Ford Taurus. A seamless transition is planned as the Crown Victoria had ended production by late 2011. In response, police departments like that of Austin, Texas, are buying reserve supplies of the last Crown Victorias to allow them to maintain a fleet of reliable police cars into the future. 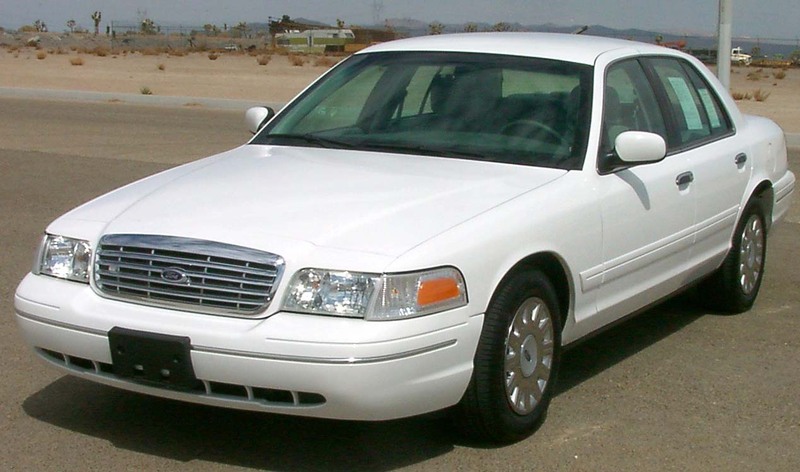 In 2002, Ford introduced a long-wheelbase version of the Crown Victoria, available only to commercial fleets (mostly used by taxi companies) in North American markets. This version gives six extra inches of wheelbase length, made possible by a new frame and extended body. This version is not available to the general public, nor is there a stretched version of the Police Interceptor. However, there was a special service version available for the police market from 2002 to 2006, with an available street appearance trim option from 2002 to 2004, due to its targeted use mostly in the taxi and livery market. In the Middle East, long-wheelbase versions of both the Mercury Grand Marquis and Crown Victoria are available to the general public. While the car has been highly rated for safety, there was some controversy and lawsuits in the 1990s and 2000s over Ford Crown Victoria (and its Mercury and Lincoln counterparts) gas tank leaks after certain types of high speed impacts, specifically when being hit in the rear end at high speeds. These impacts did cause fuel tank failures in the Crown Victoria. The leaking fuel in combination with friction between the vehicle and the road was found to be the cause of fires. The reports that the cars were more prone to fires during a rear collision were a simple combination of three things. 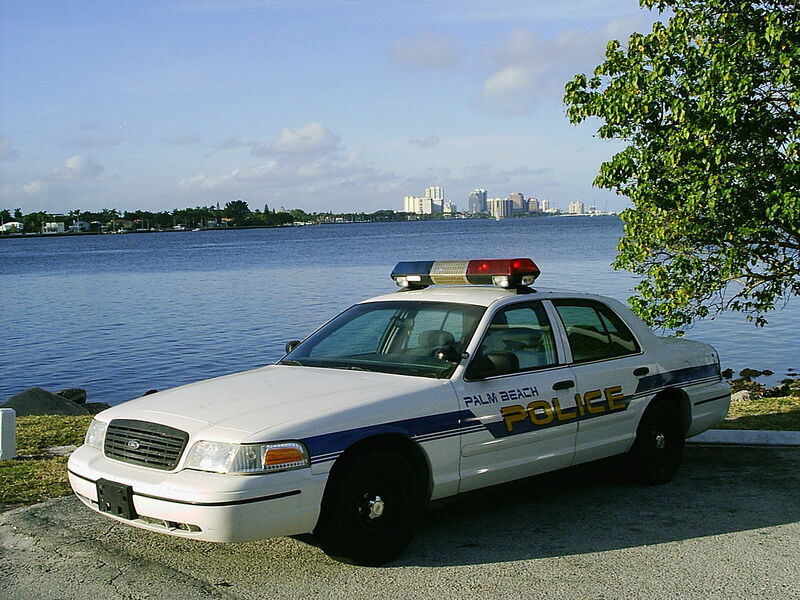 First, most law enforcement agencies rely heavily on the Crown Victoria as their primary vehicle, meaning that any police-related auto accident is very likely to involve a Crown Victoria. Second, the accidents occurred as the result of the officers intentionally parking their vehicles close to active traffic to shield a stopped motorist—something most civilians would never do. Third, the impacting vehicle was often traveling at, or above, the posted legal limit (65 to 75 mph (105 to 121 km/h) in most jurisdictions). The condition was exacerbated by police equipment installers drilling over the package tray in the luggage compartment. Due to the gas tank’s orientation, drilling through the package tray may result in drilling into the gas tank. Installers also used screws set directly into the bulkhead and facing the fuel tank. In the event of a high-energy collision, these screws could be forced into the tank, both rupturing the tank and possibly acting as a spark source. Long bolts for mounting heavier equipment were also directly suspect. The manufacturer provided an aftermarket shield to help prevent these items from puncturing the tank during impact. Further, many investigations, both performed by federal/state agencies, and the police department themselves, have found that removable items in the trunk were improperly stowed. These items became tank-piercing projectiles during the rear-collision scenarios. Ford’s second solution came in the form of a recall kit including patterns to mark unsafe areas (to drill) in the luggage compartment. Also included were rubberized kevlar and hard ballistic nylon shields for the differential cover lower shock bolts. They also included a kevlar-based trunk liner. Ford used similar kits on early-1980s model passenger vehicles. For 2005 and newer models, Ford offers an optional on-board fire-suppression system for the Crown Victoria Police Interceptor units. The system itself is integrated with the anti-lock braking system as part of the activation, and can be activated manually. However, Ford does cite several system limitations regarding fuel loss and impact speeds. Despite numerous court cases charging Ford with partial liability for fires caused in accidents, the company has never been found liable in a Crown Victoria accident. Notably, only the Ford Crown Victoria and new Ford police car have been certified for high speed rear impact collisions, adding credibility to Ford’s statement that fiery crashes are a result of extreme and unfortunate situations. Model years 1996 to 2001 inclusive, using an all-composite intake manifold, are subject to coolant leaks. Late in 2005 Ford settled a class action lawsuit. See Intake Manifold Defect for details.